A story of a remarkable woman whose life's work was produced out of desperation. 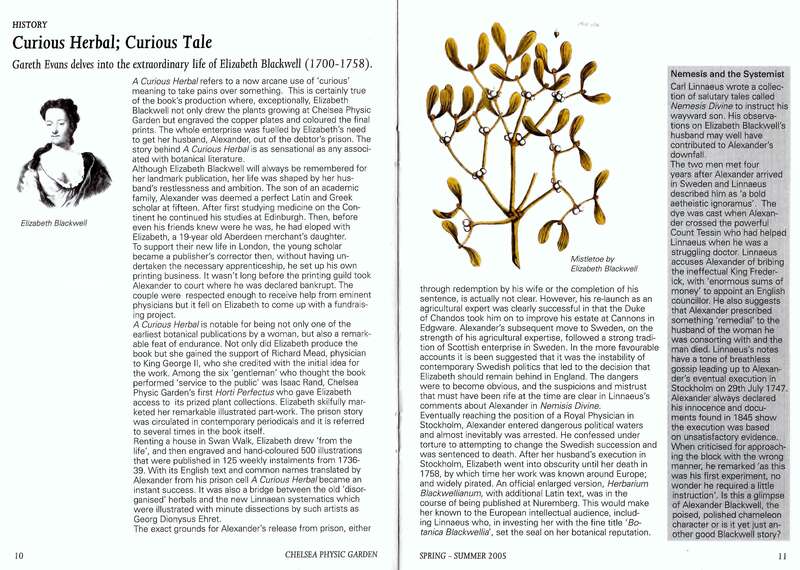 An episode that was to draw down the judgement of the 'father of botany' Carl Linnaeus. The history of ​​A Curious Herbal continued in the other great contemporary botanical publishing centre, Nuremburg, under Christoph Jakob Trew. Click on image to open document. 'Turn the pages of A Curious Herbal yourself at the British Library online gallery. Website of the Chelsea Physic Garden, London. Founded in 1673 by the Worshipful Society of Apothecaries.